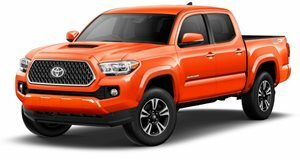 And just like the Euro NCAP organization did with fun but unsafe American muscle cars, the Insurance Institute for Highway Safety has just called out manufacturers of popular and strong-selling midsize pickup trucks, claiming that only a few models on sale today offer satisfactory crash protection. Out of eight models the IIHS tested, only four were rated as “Good” in all five crashworthiness evaluations. The other four fell short of that mark by doing poorly in those segments. Making matters worse is the fact that even the trucks rated as Good fell short of receiving IIHS recommendations due to poor-rated headlights and a lack of automatic emergency braking systems. To evaluate the trucks, the IIHS took four models the GMC Canyon, Chevy Colorado, Toyota Tacoma, and Nissan Frontier, and tested each in both extended cab and double cab configuration in order to find discrepancies in crash performance that arise due to body style. It then put each vehicle through the wringer, subjecting them to moderate overlap front, small overlap front, side, roof strength, and head restraint tests. What surprised testers the most was how well these midsize trucks did in the small overlap front test. The only exception here was the Nissan Frontier, which can blame its poor performance on the fact that it hasn’t had a structural redesign since 2005, which is what caused both its King and Crew Cab models to land in dead last. 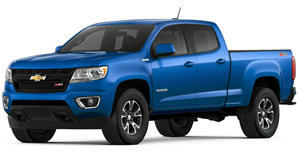 Both the GMC Canyon and Chevy Colorado Extended Cab versions landed in sixth and fifth place respectively, whereas the Toyota Tacoma Access Cab stole fourth place and the first Good rating. The GMC Canyon and Chevy Colorado Crew Cabs took third and second place with there Tacoma Double Cab snagging first place as the safest midsize truck in the segment. It’s unclear if that lead will last given how there will soon be multiple new segment entrants from different automakers. Come 2019, Ford will unveil the Ranger and a Scrambler pickup from Jeep should come around the same time. Check out the IIHS' video summary to see what Ford and FCA need to work on to ensure they steal the top safety spots in the segment.